Y’all….I’m a small-time blogger. I’ve shared before, I write because it’s therapy and because I really do believe that God made me to write. Maybe not everything I’ve ever written should have been said. Actually, I can say for sure that not everything I’ve ever written should have been said. But just because I don’t always say the right thing, that doesn’t diminish the drive to write. And I write because it seems to be a ministry of sorts, and encouragement to others. And because you all have been such a blessing and encouragement to me over the years, I have wanted to do a give away for a long time. But, like I said, I’m a small-time blogger and really have no clue what I’m doing. 🙂 So will you bear with me as we venture out into my very first giveaway? So, if you loved the series (or just want the book and bracelet) comment on this post to enter. The giveaway begins today and will close next Tuesday, February 11. I will announce the winner (Lord willing) on February 12 (but remember, life is prone to happen here, so please be patient with me if I’m late a day or so). And if you’re just now joining us and would like to read the whole series, start to finish, links can be found below. Thanks again, friends, for joining me on this journey with My Ears are Tired. I am blessed to have you all here with me. Part II: Is Modesty More Than What We Wear? Part IV: What Does Our Immodesty Say About Us? Part V: Who’s Responsibility Is It? I really enjoyed hearing your thoughts on modesty. Being something I regularly ponder, it was really nice to read your posts on the topic. I too enjoyed the series, and was thankful for your willingness to share so openly and with transparency. Loved the series! Lots to think about. Thanks for sharing. As a mother of three (two are young girls), I appreciate your insight as you “blaze the trail” of motherhood. I love to read what God puts in your heart. Thanks for a fun giveaway! Always love your blog posts. No small timer. Just doing a blog at all is fantastic. 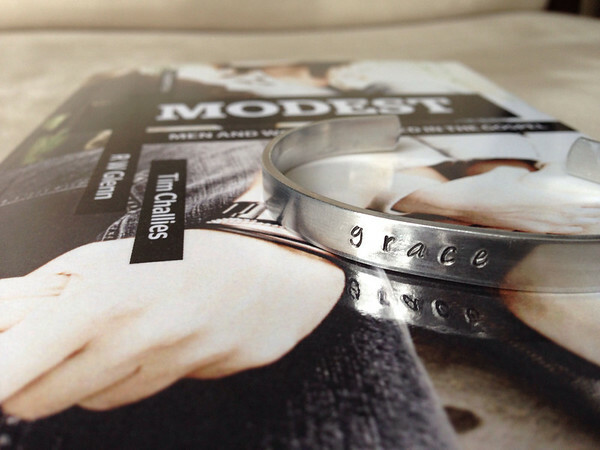 I don’t just say that because I want that bracelet. 😉 Hugs!